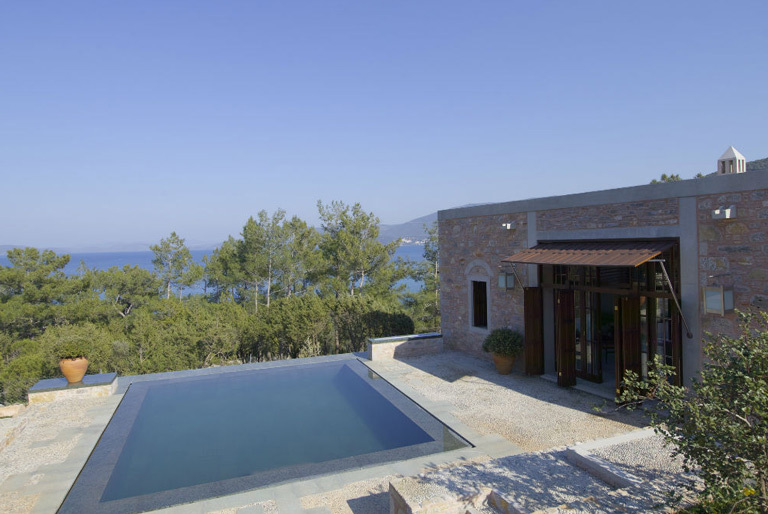 If you’ve ever fantasized about owning your own immaculate villa, with someone on hand at a moment’s notice to cater to your every whim, look no further; you can get exactly that feeling without having to invest in a property. 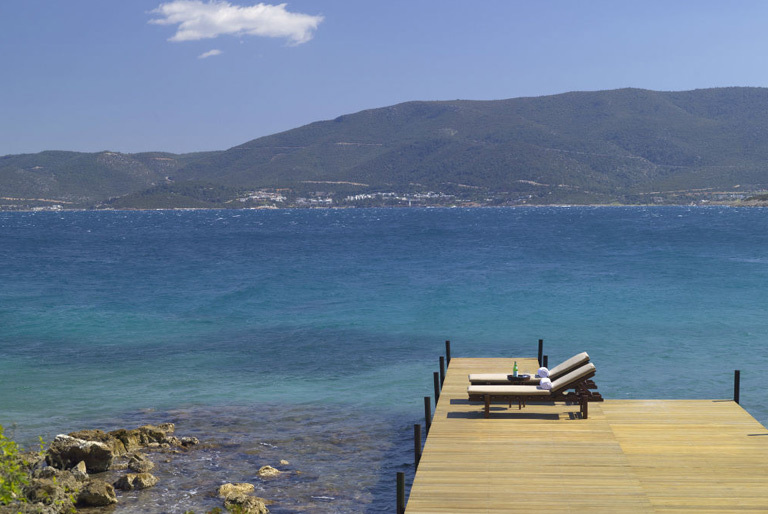 Positioned on a hillside overlooking Mandalya Bay, on the northern coast of the Bodrum Peninsula sits Turkey’s Aman resort. Our cottage was beautifully laid out and I really wondered if I could face leaving the private poolside for my spa treatment (#firstworldproblems). Enjoying the freedom and privacy of the private garden, I felt relaxed and sun-soaked. With the appointment almost upon me, I dragged myself off the white lounger and threw myself in the pool to cool down. I am not sure I can put into words how restful Amanruya is. 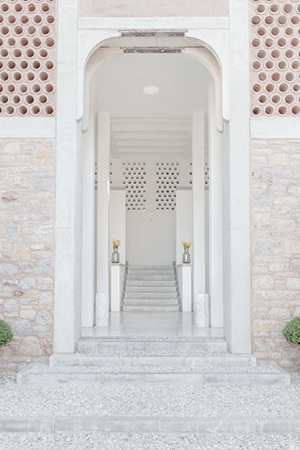 The resort is a series of courtyards and terraces that meander through the 50-acre site heavily laden with pine forest and ancient olive groves. 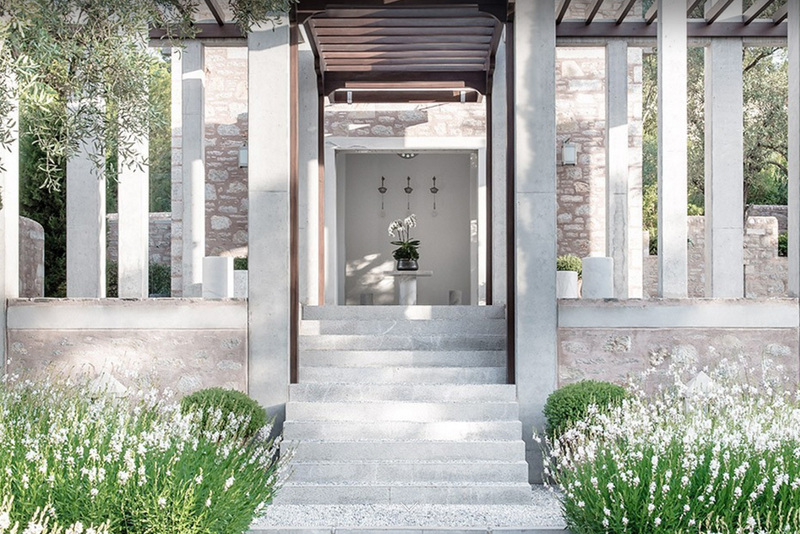 The layout and landscaping give the sense of staying in a small Ottoman village; sweet smelling fig, carob trees and scented pines dress the air. A very short walk through the resort takes you down a winding path to the Beach Club and a private pebble beach with a wooden jetty and an off shore swimming pontoon. There are 36 stone and terracotta cottages, each with walled garden and private swimming pool. 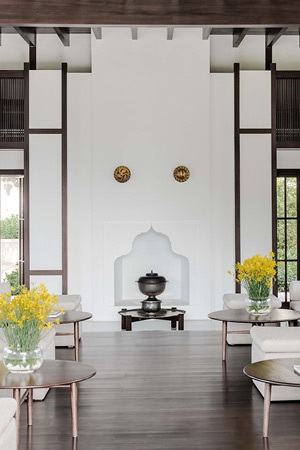 The cottages are large, luxurious rooms with a bedroom and living room area, a dressing room section and a large hamam-esque bathroom, all styled in stone with dark acajou wood furniture, white marble floors and there is an open fire for winter use. I am sure you can appreciate my reluctance to leave the poolside, but I trotted up the pebble paths, picking my way between the olive trees to the spa area near the beautiful 150 feet long swimming pool made of green Anatalyan marble. 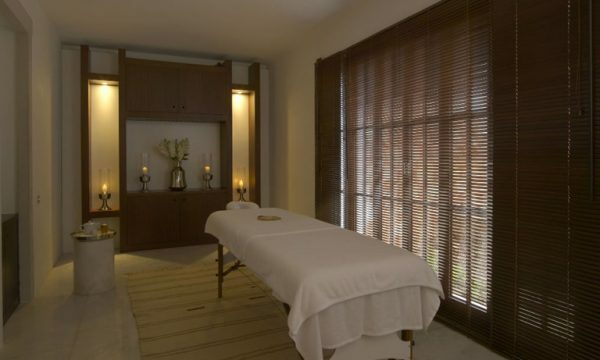 The spa is small and tucked away; there are just two spa suites offering an array of treatments. 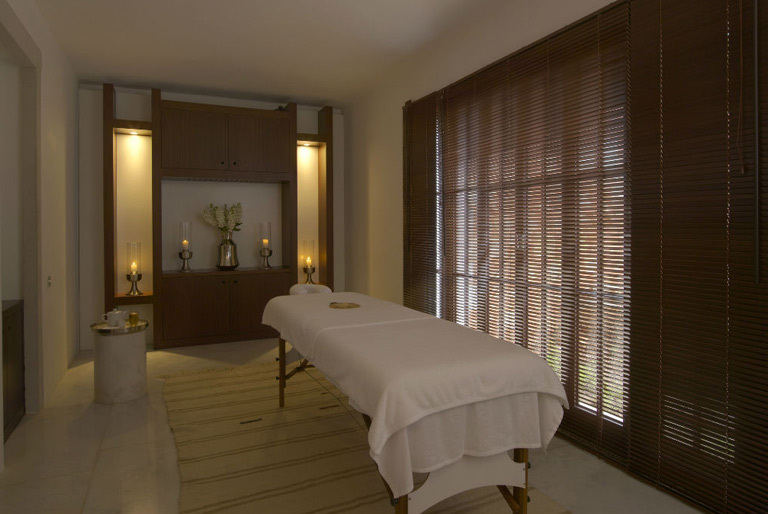 Everything at Amanruya is designed to soothe and relax and I should have known the treatment would be fantastic. Nurcan greeted me, a gentle man with a soft manner. I completed the customary questionnaire and then he explained what the Aman Touchmassage involved and allowed me to choose my massage oil. I opted for an invigorating rosemary oil as I didn’t want to get too sleepy. The next 45 minutes were sublime. The massage focused on the back, neck and shoulders and Nurcan was extremely talented. Some people just understand the human body and can read exactly what is required to ease the tension or discomfort. This was one of those occasions. The massage forced strain out of my neck and shoulders and at one point I was lifted up like a kitten by my shoulder blades. A truly bizarre sensation but I could tell it was forcing my shoulder blades to relax in a way they hadn’t been made to before. After the 45 minute treatment was complete, I sat and sipped green tea with ginger and had some sun-dried apricots in a state of zen. The name Amanruya is a play on Sanskrit and Turkish words for ‘peace’ and ‘dream’, and it had cast its spell. Post-massage, I wandered woozily down the pathway to my cottage. I went straight to the lounger and closed my eyes for 10 minutes as my body enjoyed the post treatment lull. I was then fully energised and dived into the cool waters to cover some lengths. If you’ve been reading up on my other Turkish adventures you might think that I cause storms in Turkey, as when I visited Cappadocia the playful gods Teshub and Zeus came out to greet me. Again, thunder cracked overhead and lightening flashed in the distance. The sun blazed on and I swam blissfully beneath nature’s expressive temperament, then lay out on the lounger to work on my all over tan.